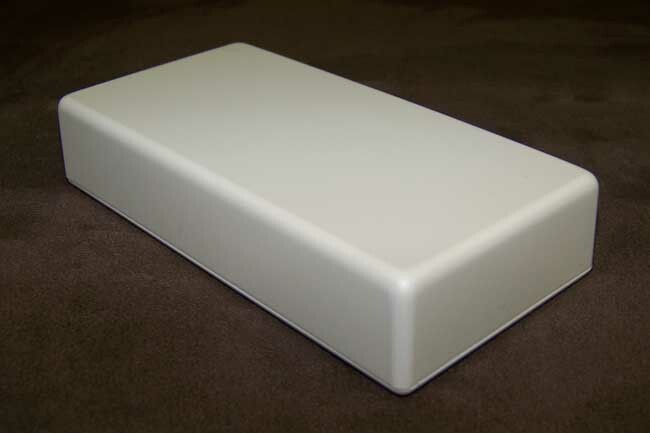 This enclosure measures 1.040" x 2.530" x 5.050" and has 9 cubic inches of internal space for your circuitry. 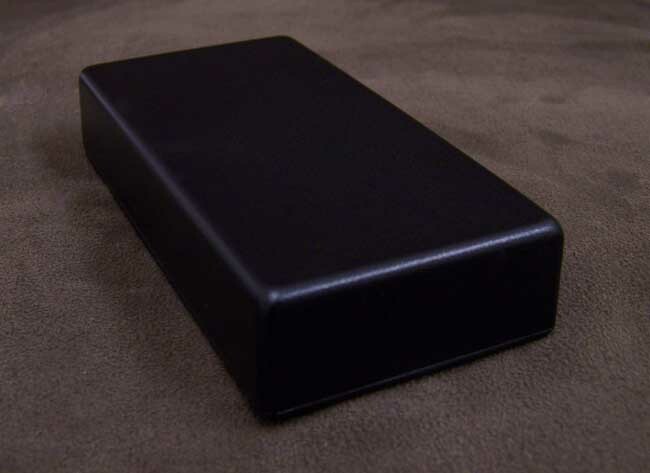 This is a thinner version of our 160X25 Plastic Utility Case, it is about 9/16" thinner. This box features a flat bottom cover and molded top cover. You can also get it with a optional battery access opening with this case. If you need this case with mounting tabs, click here. 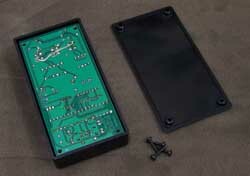 There is clearance between the enclosure and lid for a circuit board to mount. Simply install your board (see image below) and put the cover on and use the Plastite screws provided to secure your board in place for a complete enclosure. 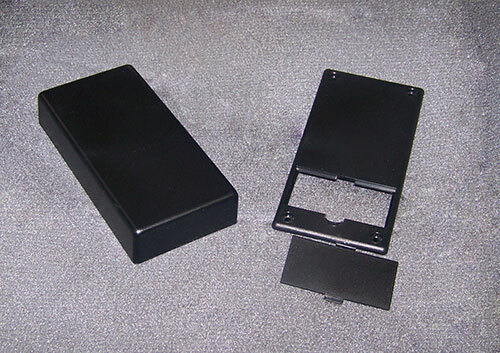 This enclosure can also be used as a small handheld case. 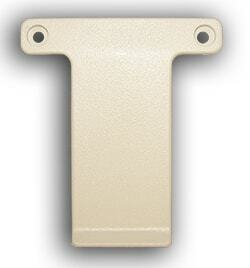 This IP65 plastic wall mount enclosure are made from high quality ABS material and is RoHs Compliant. This file is in a PDF format. This is the drawing for the PB-100X25.